You have always loved playing puzzle games because they need your brain power. When a puzzle game is coupled with action, the game becomes even more interesting and that is what has happened in the iTunes game named MigmO. 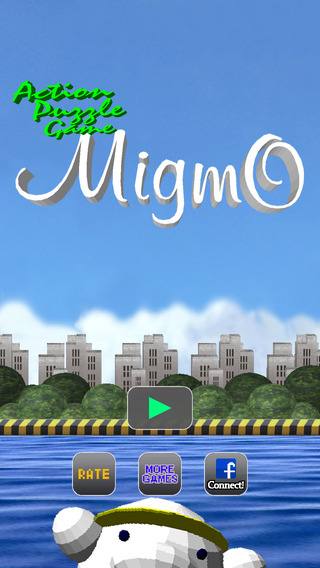 Migmo is an action plus puzzle game which will make you think and take different actions in order to reach the exit. There is a yellow door in the exit point and your target in the game is to reach to the exit point taking help of physics tricks and guiding items such as Ladder, Reverse, Bridge, and hammer. Each of these guiding items has a special power; you just need to use the special power to survive in the game. MigmO, presented by marchEnterprise is a puzzle game that has beautiful graphics and the single cell animal in the game is so cute that you will fall in love with it. Apart from the maps that are present in the game, you can design your own maps and you can share the same with your friends. The level editor will help you design the map. You need 10 hearts in order to reach a level. So get connected to Facebook and collect heart and cover a different level every day. MigmO is a puzzle game that comes with a lot of action. MigmO is a single celled animal which looks really cute. You can play different levels of the game by collecting hearts from your friends and even Facebook friends. 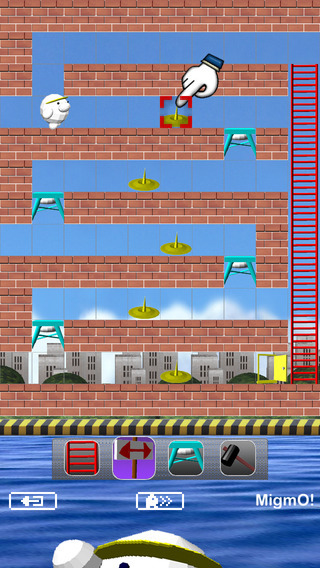 The game requires you to reach the yellow door following any track possible. There will be obstruction in the way which you will have to deal with the help of the guides. There are four guides in the game for you. The guides are Reverse, Ladder, Hammer and Bridge and each has different functionalities. You require collecting 10 hearts to move a level. You can collect those hearts from your Facebook friends. You can design the map for your level from level editor. You can also share the map with your friends through the game. The game is completely based on touch so the game play is not going to be tough. The visual of the game is kept simple but interesting. The game version 1.0 requires 12.2 MB space on your device. 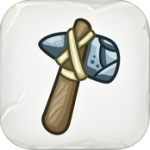 The game requires iOS version 7.0 or later and it is compatible to iPhone, iPad and iPod touch for free. Summary: MigmO is an action puzzle game which requires the player to reach the yellow door in order to end the level. There are several levels in the game. Good: The game has good graphics which makes it quite interesting. Bad: There is nothing bad reported about the game till now.